At the age of 83, Dr. Tony French died peacefully in his sleep at home on 24 November, after an enjoyable day spent with his wife and family. He had experienced a long period of failing health. Tony will be remembered by many as Honorary Secretary of the RGS between 1986 and 1994, when he employed his skills of tact and diplomacy to good effect during the challenging period prior to the merger with the Institute of British Geographers. Others will recall his sterling service as a lecturer to branches of the Geographical Association throughout the land. His reputation as a speaker guaranteed the presence of large audiences. Tony was the British expert on the geography of Russia, publishing books and articles on its historical and socio-economic geography. Unlike most other western geographers who wrote about Russia, he visited the country’s libraries and archives, and interacted with Russians in order to ensure the rigour of his work. He gained a first-class degree in geography at the University of Liverpool, where one of his tutors was Bill Mead (later head of geography at UCL). 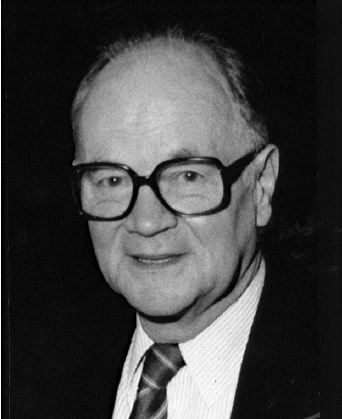 Tony’s final year dissertation on the historical geography of a valley in Hampshire was supervised by Wilfred Smith, from whom he learned high standards of research and writing. Professor HC Darby left Liverpool for UCL in the summer of 1949, and, being well aware of Tony’s scholarly potential, invited him to undertake graduate work in London. Between 1950 and 1953 Tony held a Scarborough Commission Fellowship allowing him to research his MA thesis on the historical geography of Russia. He learned Russian, lived with expatriate Russian families to practise the language, and used specialist libraries in Paris, Helsinki and London since the USSR was closed to western scholars at this time of the Cold War. Military service in the intelligence corps followed, with further intensive instruction in Russian language. In 1955, Tony was appointed lecturer in geography at UCL, and would remain on the academic staff until he retired in 1994. Receiving a Rotary Fellowship, he spent a formative year on the Soviet Studies Program at Harvard University (1955-56) before starting his teaching career. Later research and exchange periods involved Moscow State University (1959-60) where he was a pioneer exchange scholar, the University of Wisconsin (1971), the University of Minnesota (1985, 1993), the Kennan Institute for Advanced Russian Studies in Washington DC (1988), and various Russian universities once the Cold War had thawed. He was an enthusiastic participant in British-Soviet Geographical Seminars and in visits and exchanges involving Polish and other geographers from eastern Europe. Tony’s lectures at UCL focused on the human geography of the USSR (later Russia and adjacent territories), with special attention being paid to historical geography which was his first academic love. His initial research was on the drainage of Russian marshland (very much a Darby theme), and his doctorate, completed in 1968, was on the historical geography of Belorussia in the 16th century. It is a pity that he did not publish this work as a monograph since it demonstrated an innovative approach for constructing the spatial arrangement of fields and settlements from non-cartographic sources. ‘Once a historical geographer, always a historical geographer’ was one of his favourite sayings that he whispered to me just a couple of weeks before he died. His historical classes were researched meticulously and introduced his students to classical works in Russian literature and music, as well as in history and geography. All his lectures were delivered with great clarity, often challenging the audience to evaluate the source material being used and to assess the claims being made, especially those by Soviet politicians and scholars, or by ‘fellow travellers’ in the West who took propaganda statements at face value. Once the Berlin Wall had fallen, Tony’s lectures concentrated rather more on social geography. Jointly with Frank Carter, he delivered an extremely popular secondyear course on Eastern Europe and Russia during his final years on the academic staff. Tony also taught undergraduates and masters students at the School of Slavonic and East European Studies, holding a joint post at UCL and SSEES from 1963 to 1991. As a scholar, Tony set the agenda for future geographical studies of Russia by British researchers. As a tutor, he was extremely encouraging toward students judged to have potential but he gave short shrift to time wasters. As an author, he was a perfectionist both in terms of conducting research and committing his findings to paper. He insisted that his doctoral students should be similarly rigorous. His main books were: The Socialist City (edited with FEI Hamilton, 1979), Studies in Russian Historical Geography (2 volumes, edited with JH Bater, 1983), The Development of Siberia (edited with A Wood, 1989), and Plans, Pragmatism and People: the legacy of Soviet Planning to today’s cities (1995). His journal articles covered many themes from historical geography to the conservation of historic buildings, city planning, population change, and environmental transformation. He also contributed over 400 articles on Russian and Soviet topics for successive editions of the Encyclopaedia Britannica. Once retired, Tony spent part of each year (the British winter) in New Zealand, where his artist wife, Vivian, has a house. On several occasions, he was guest lecturer on inland cruises between Moscow and St Petersburg enabling him to share his expertise and enthusiasm with a wider public. For all his intellectual rigour, Tony was always great fun to be with and was a true ‘gentleman’. He was a kind, supportive teacher and colleague, who held the RGS and the collegial community of UCL in great affection. He will be missed greatly by his many friends, but not forgotten. Dr Richard Antony (Tony) French. Source: University College London.